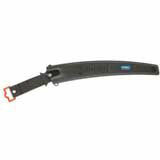 The Challenge has only a slight curve to the blade making it great for getting in tight branch unions. The smaller tooth size excels in harder, denser wood or small branches. The tapered blade surface is a highly polished chrome that resists pitch build up and is easy to clean. 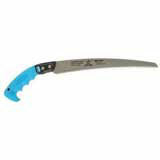 Originally developed for fruit tree pruning, this saw has many applications in the arborist and landscaper arena.